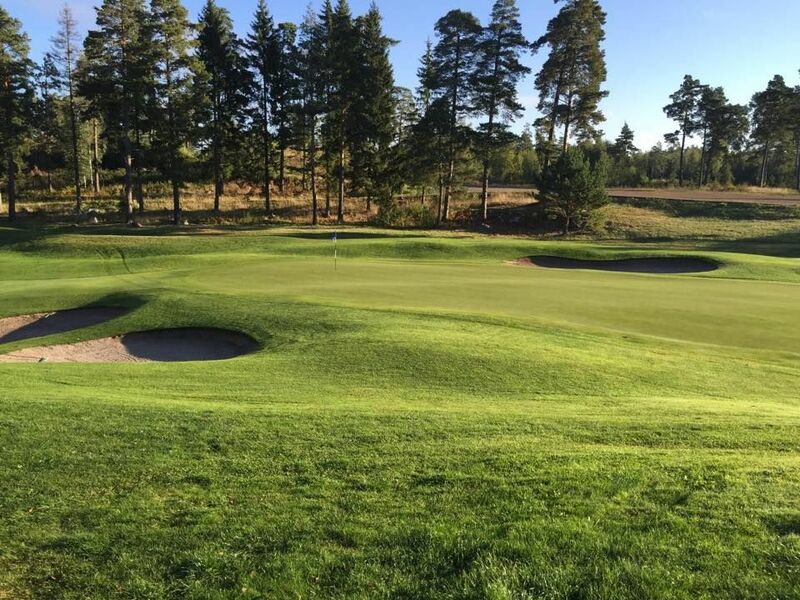 Since its beginnings in the late 1980s, Kungsängen Golf Club has worked hard to create a world-class course. 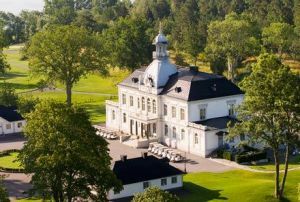 As a result Kungsängen Golf Club has succeeded in hosting the Scandinavian Masters no fewer than four times. The club now has two 18-hole courses: Kings Course and Queens Course. 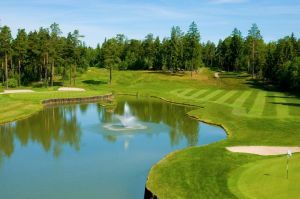 And no effort has been spared in creating a beautiful, relaxing environment for spending time before and after a round of golf. 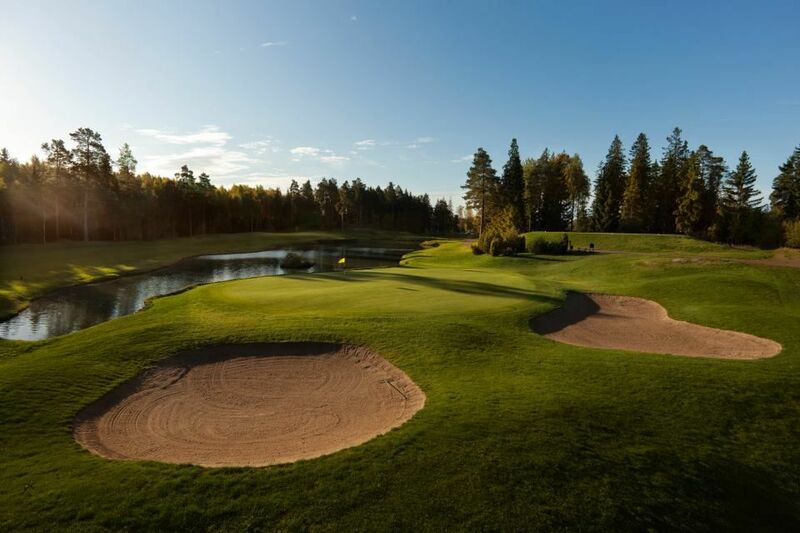 There is a newly refurbished clubhouse with an excellent restaurant offering everything from coffee and a cake to more gastronomic experiences. This is also where the reception and shop is located, for checking in before playing. For those wanting to do a bit of work while having a day out, we offer Telia Homerun throughout the clubhouse. Codes are available in the shop and the restaurant. On the first floor you can find our newly designed clubroom, welcoming members and guests, and from its balcony you can enjoy the superb view over the 18th holes of both courses. By the range you’ll find our changing rooms, with all the facilities you could need. On the far right of the range is our golf studio where you can try out clubs, get the help you need with your swing, etc. 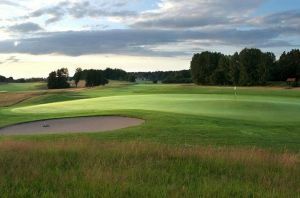 This is also the venue of our golf academy, run by qualified PGA instructors. The course is a short 20 minute drive from Arlanda Airport and just 25 minutes from the centre of Stockholm, Sweden. 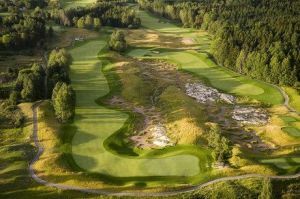 Kungsangen GC - Kings Course is not yet in our pool of Golf Courses for orders.